Smith has announced the release of new sunglass series designed specifically for time on the water. The “Dockside” will premiere at ICAST/IFTD July 2014, along with three other models as well. 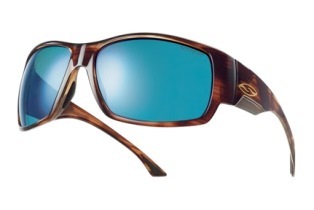 KETCHUM, ID (June 19, 2014) – With its long-standing commitment and dedication to the fishing community, Smith is excited to introduce the new Dockside sunglasses with ChromaPop™ polarized lenses. Always striving to up the ante on optics and fit, Smith created the new fishing-specific frame with the avid waterman in mind, utilizing the most scientifically advanced lenses on the market. View the all new Dockside in action here. Constructed of Trivex material – a premium lens offering in the optical market – ChromaPop lenses provide the durability, impact resistance and lightweight properties of polycarbonate and the optical clarity of glass. ChromaPop is available in 6 proprietary lens tints: the new Polar Blue Mirror, the new Polar Bronze Mirror, Polarchromic Ignitor, Polar Brown, Polar Gray Green and Polar Platinum offerings for unmatched visual clarity on the water in any conditions. Ideal for medium to bright light conditions, the new Bronze Mirror lens create a color enhanced visual experience through intensified reds, blues, and greens for almost 3D-like visuals. 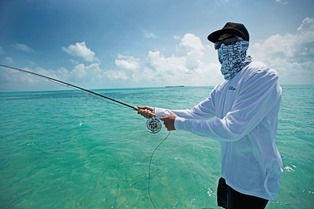 Designed for the serious offshore waterman seeking to cut glare in bright light conditions and maximize fish spotting opportunities in open water environments, the new Blue Mirror lens produces enhanced visuals amplifying colors in their natural state. All ChromaPop lenses provide 100% protection from harmful UVA/B/C rays with film-free polarization, and feature Anti-Reflective (A/R) mirror coating to eliminate back-glare and hydroleophobic coating to repel water, dirt, and grease. For those seeking additional visual assistance, ChromaPop lenses are also offered in a Sun RX solution. Please stop by the ICAST/IFTD new product showcase to learn more and to cast your vote for the Dockside. For a full line review of Smith Optics (Booth #1947), please contact Cassie Abel at cassi[email protected] to set up your appointment. In addition to the Dockside, Smith will also be debuting three new frame models including: the Wayward, Dragstrip and Discord.